A few years ago, Torus and sev had the thoughtful initiative of porting the UT2004 map Tokara Forest to Nexuiz (called Arboria). A few days ago I decided it's time to make an up to date Xonotic version as well as improve on this map, and now my version is ready. Since the last release was v2r4 my version starts at v3r0. Looking at the screenshots it looks really nice. Looks really good anyway :-). Very nice but I do hope it isn't too much of a campers map. 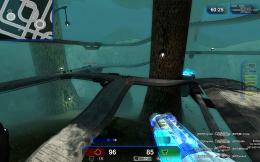 This map was originally from UT2003 but also featured in UT2004. It does seem nowadays that UT2003 is forgotten but having played it recently I think it's actually a better game than UT2004. (03-20-2013, 07:23 AM)edh Wrote: Very nice but I do hope it isn't too much of a campers map. 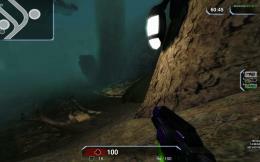 This map was originally from UT2003 but also featured in UT2004. It does seem nowadays that UT2003 is forgotten but having played it recently I think it's actually a better game than UT2004. 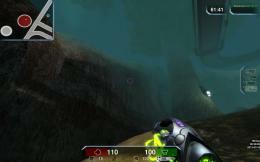 UT2004 is just UT2003 with new features and improvements (as well as some changes). Never the less Tokara Forest is a beautiful map, and I'm glad the original authors of the Nexuiz port had this initiative. It shouldn't be much of a camper's map now. 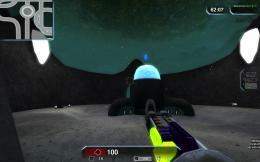 Especially since I'm building it at 75% scales due to the original Nexuiz map being overly huge. It's still pretty large which can encourage camping especially for bots, but no map is perfect. (03-20-2013, 08:28 AM)MirceaKitsune Wrote: UT2004 is just UT2003 with new features and improvements (as well as some changes). The single player campaign is very different though and in many ways things aren't so polished. 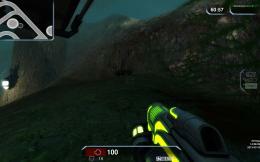 There's a few second rate maps that are in UT2004. I do think that Assault and Onslaught are welcome additions though. 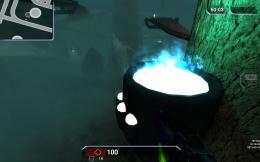 (03-20-2013, 08:28 AM)MirceaKitsune Wrote: It shouldn't be much of a camper's map now. Especially since I'm building it at 75% scales due to the original Nexuiz map being overly huge. It's still pretty large which can encourage camping especially for bots, but no map is perfect. The size reduction should help as even the original version was very difficult to get into at first. As for bots, how are you going with waypoints? Not sure how bots will handle all of the aerial stuff. (03-20-2013, 09:03 AM)edh Wrote: The size reduction should help as even the original version was very difficult to get into at first. As for bots, how are you going with waypoints? Not sure how bots will handle all of the aerial stuff. I waypointed the suspended platforms and created a waypoint net at ground level over the terrain. Overall it took 2 hours to do it for the whole map, and I had to do it twice too. Bots don't move quite as much as on other maps but they still handle themselves well. Some jump off the platforms, but usually tend to clog toward the bottom center of the map (where the megahealth is placed). 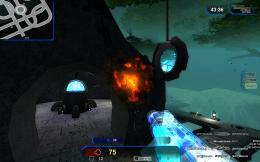 I always enjoyed the map in nexuiz times (the few times we played it). I like the fog and the scale of the map but I'm afraid it could be a nex-only-map. What I would recommend to remove is the low gravity - while it helps moving around, it makes you an even easiert target for someone with a nexgun. 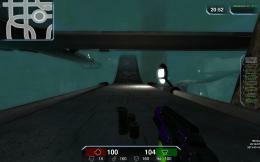 Low gravity is one of the main things I liked in the original map, so I totally wouldn't remove that. I agree that on a map this large, the Nex is the most useful gun (usually any hitscan weapon) since players tend to touch the ground less. In other news, the bugfix for trigger_gravity and jump pads is now in master. So the map can be played in GIT without issues. Last night I played the map some more and realized that even at 0.75 scale it's still too huge. So I resized everything to 0.5 inside the map file and made a few other fixes and adjustments (such as better jumppad targets and ONS links). The map is a lot better looking and more playable now. See the first post for v3.1 which includes those changes, or get the map from the autobuild-bsp server.